Life is fun for No. 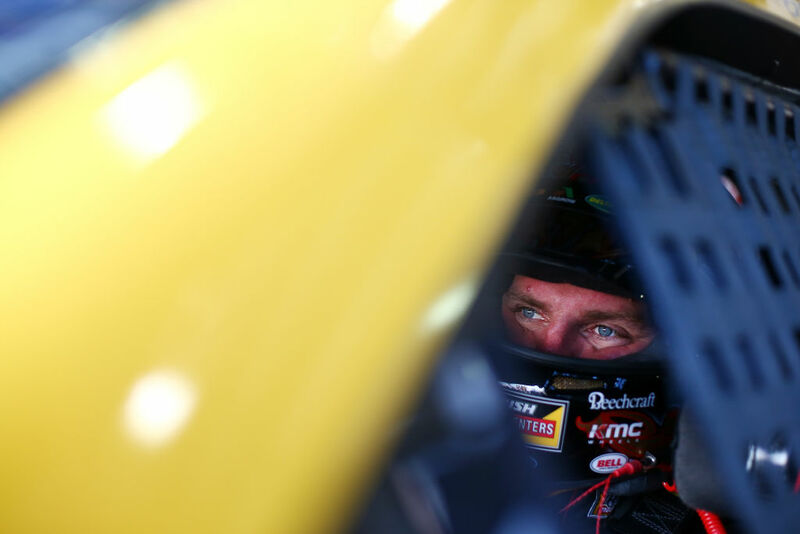 14 Rush Truck Centers Ford Fusion driver Clint Bowyer these days, and he’s doing his best to share that fun throughout the Monster Energy NASCAR Cup Series with teammates, fans, tracks and his corporate partners. Bowyer has always been a lively character, but his 2018 success that includes two victories, six top-fives and 10 top-10s has brought him to the forefront as one of the sport’s most sparkling personalities. The Emporia, Kansas, native is sixth in the standings at the season’s halfway mark, and he has cemented a role with the four-car Stewart-Haas Racing (SHR) team that has won seven races and scored 22 top-fives and 40 top-10s in 2018. Bowyer hopes to share that feeling with Daytona race fans as well this weekend. He and Daytona President Chip Wile created a “BBQ, Brews and Bowyer” ticket package that’s right down the alley of any Bowyer fan. The special package, $149 per ticket for adults and $69 for children 12 and under, includes food, beverages, Kansas City-style BBQ and Coca-Cola products in a Midway suite, along with a reserved seat and a visit by Bowyer before the race Saturday night. Why would a driver agree to such an event minutes before racing at 200 mph on the high banks of Daytona? Bowyer said events like this are a key to success for NASCAR in the future. He’s learned this through his experiences in short-track racing as well as through attending team sports as a fan. It’s part of sharing the fun and learning from his experiences attending other sporting events. He sees NASCAR trending in the right direction, giving as much thought to the on-track product as well as what goes on in the grandstands and fan zones. It’s fitting Bowyer’s No. 14 Ford will carry the Rush Truck Centers paint scheme again this weekend in Daytona. Rush Truck Centers has been the primary partner on the No. 14 team since Bowyer arrived at SHR in 2017 and has been with the organization since 2010. The Texas-based company has used Bowyer and the team to appeal to NASCAR fans as one way to recruit the technicians it needs to operate the largest network of commercial truck and bus dealerships in the country, with locations in 22 states. According to Rush Truck Centers, the trucking industry is expected to need 200,000 diesel technicians over the next 10 years to keep up with maintenance demands. Rush Truck Centers wants to make NASCAR fans aware of these opportunities and knows that, with Bowyer’s background, he is the right guy to help get the message out. The team from Rush Truck Centers and Rush Enterprises Chairman, CEO and President Rusty Rush can frequently be found at the track hosting customers and supporting Bowyer and SHR. Bowyer considers them to be among his closest racing friends. In fact, when Bowyer won at Martinsville, Virginia, in March, Rush happened to be in that part of the country on business and made a surprise visit to help Bowyer and the team celebrate the victory. Daytona promises to be a fun weekend for Bowyer between BBQs with fans, hanging with Rush Truck Centers folks and the chance to race on the high banks of Daytona. What are your first memories of racing at Daytona International Speedway?